Unlike expensive membership cards, which only work in specific industries and expire every year, PinPoint is absolutely free, has no time limit and works in many different industries. Unlike bulky coupon books, which are only good for one visit per store, the PinPoint Card is easy to use and rewards you as many times as you shop at participating merchants. Unlike programs that require you to spend large amounts of money before you can claim any rewards, PinPoint reward points add up fast. Rather than make you pay to join, PinPoint has something special for you when you join - an exclusive offering of members-only benefits and offers including coupons from every participating merchant, just for enrolling. And as great as PinPoint's regular rewards are, we don't stop there. All our members are special, so everyone gets special Birthday and Anniversary Rewards, as well as Holiday Rewards and much more. It's free, it's easy, and the rewards just keep coming. 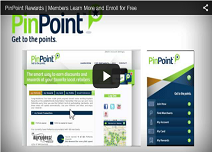 Become a PinPoint member, and start saving money and earning rewards today! Earn Points - Earn 1 point for every dollar spent at participating locations, which will earn you valuable Payback Rewards. Double & Triple Points - Some merchants let you earn their rewards faster during certain times and days of the week. Welcome Rewards - Receive a valuable coupon from every participating merchant just for enrolling. 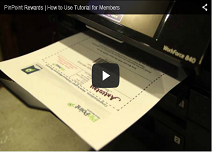 Instant Rewards - Some merchants offer a discount on each visit with no coupon or award required. Birthday & Anniversary Rewards - Enjoy special rewards, which you can redeem during your birthday or anniversary month. Gift Card Points - Earn points when you purchase gift cards. Online Access - 24-hour access to your account settings, point balances and reward standings. 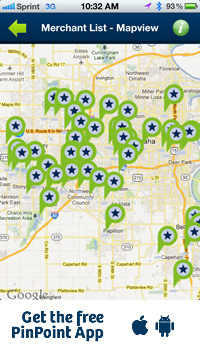 Email Notifications - We will e-mail you information about special offers when new merchants join the PinPoint network. Facebook Exclusives - We offer fan-only access to special offers and promotions, including gift card and ticket event giveaways. Please see the full FAQ's for more details. Restrictions may apply.